I don’t think I have ever posted so much in a week before! I’ve made so many Harry Potter posts that I thought a post linking to all the posts would be a good idea. 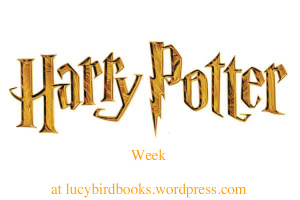 I hope you have enjoyed this week as much as I have and if you have entered my Harry Potter Giveaway you will hear from me tomorrow if you are the lucky winner. For any readers who aren’t Harry fans, thanks for baring with my fanaticism for a little bit, normal programming will resume tomorrow.